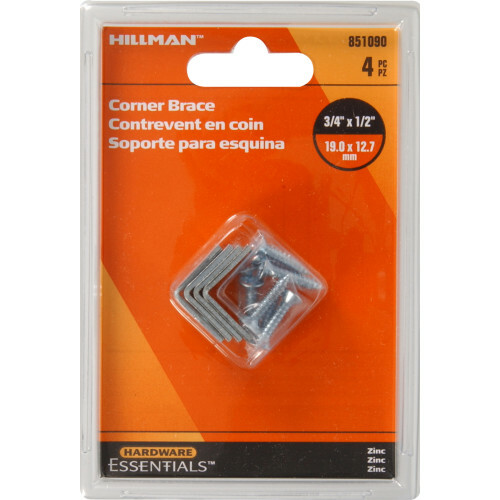 Hardware Essentials Zinc Corner Braces are great for DIY projects. Braces add extra reinforcement for inside right angles. 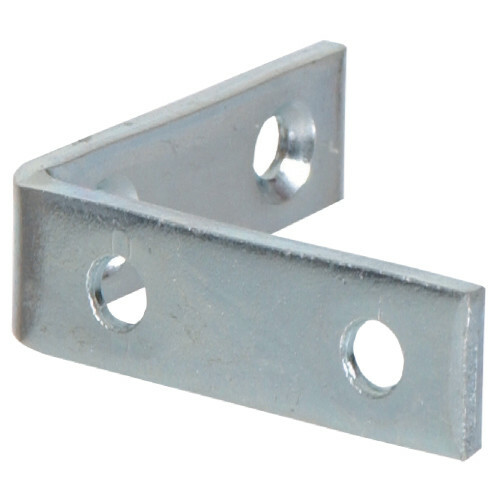 Corner braces are ideal for wood products. 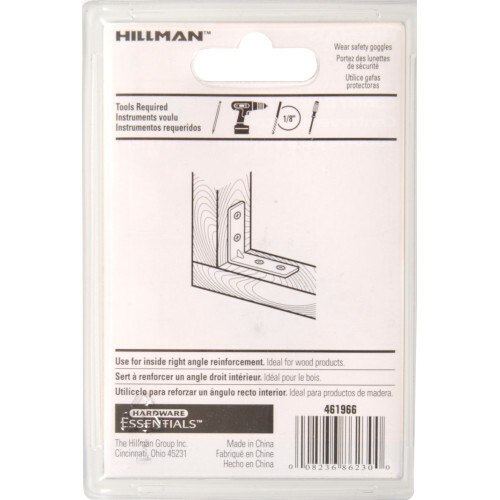 All you need is a pencil for marking, a power drill, screws and a hand held screw driver. 1" x 1/2" 1-1/2" x 1/2" 2" x 5/8" 2-1/2" x 5/8" 3" x 3/4" 3-1/2" x 3/4" 3/4" x 1/2" 4" x 7/8" 5"x 1" 6" x 1-1/8" 8" x 1-1/4" 10" x 1-1/4"